What type of person is a Pisces? Pisces are selfless, they are always willing to help others, without hoping to get anything back. 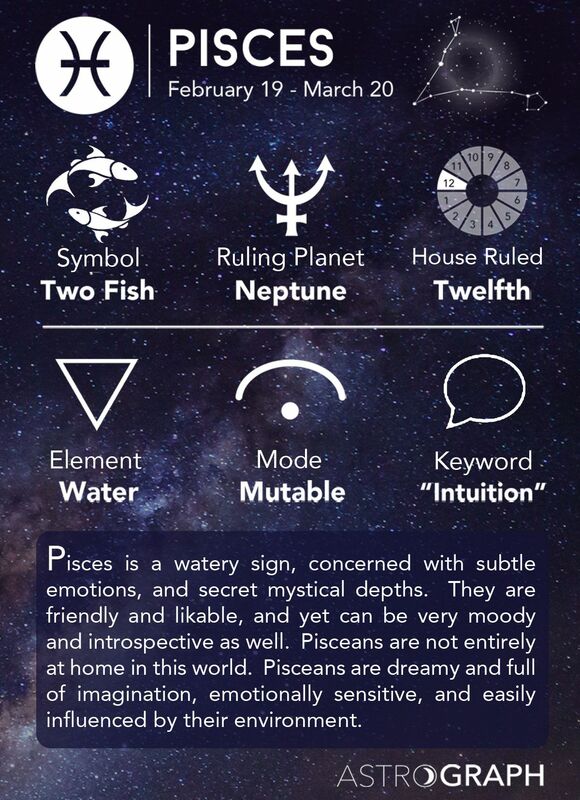 Pisces is a Water sign and as such this zodiac sign is characterized by empathy and expressed emotional capacity. Their ruling planet is Neptune, soPisces are more intuitive than others and have an artistic talent.